For both the interim Mediterranean Solar Plan and Desertec, the creation of renewable policy and renewable job skills development in both the potential energy-supplying countries and the potential energy-receiving countries is necessary. 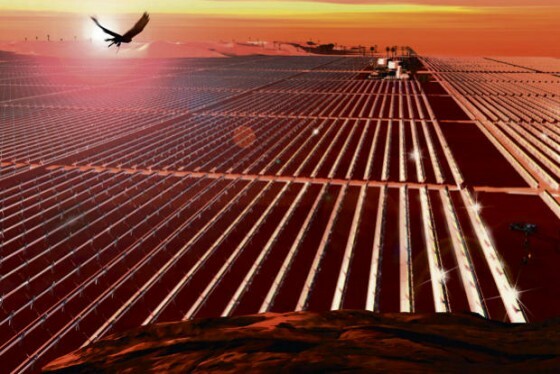 The Mediterranean Solar Plan represents an interim step towards Desertec. It aims to create 20 gigawatts’ worth of new renewable energy sources in MENA nations by 2020 – the equivalent of around 15 to 20 coal-fired power plants – whereas Desertec has set itself the much larger – but more long-term – goal of supplying 15 per cent of Europe’s electricity by 2050 from solar and wind power plants in the MENA region. For an example of the bilateral policy needed, Germany is considering modifying its Renewable Energy Sources Act to include a specific set-aside feed-in tariff just for “desert electricity”. Fortunately, here is no real push-back against renewable and climate change policy in the EU, led by Germany, one of the founding member nations of Desertec. As the state minister of the environment for Baden-Württemberg, Franz Untersteller said this week, comparing the EU to the US. “We don’t have the situation like you have in the US, where you have this Koch brothers,” Untersteller told the Center for American Progress, referring to the disinformation campaign by the heirs to the $50 billion Koch Industries oil fortune that has impeded US climate policy. On the MENA side, the Moroccan Solar Plan unveiled last November is aimed at achieving a hugely ambitious 42% renewable energy target by 2020. Now the EU is helping Jordan, the latest MENA nation to get involved, with a €35 million Renewable Energy and Energy Efficiency Programme aimed at the development and implementation of effective renewable energy policies to provide the necessary support to achieve 10% production from renewable energies and 20% energy savings by 2020.